ESET® , a global pioneer in proactive protection for more than two decades, was awarded 100% protection for detection and prevention of internet threats by ESET Smart Security 7 by Dennis Technology Labs in its independent test. This result was the highest protection score awarded to all products within the test, outranking Norton, Kaspersky, Avast, Trend, McAfee, BitDefender, AVG and Microsoft. “We know that our tests really challenge anti-malware products. This is why it’s quite rare for any one product to do consistently well and obtain high awards over a period of time. ESET Smart Security, in its various versions over the years, has always been very successful in our tests and has managed to achieve the highest protection score in the latest report,” Simon Edwards, Technical Director at Dennis Technology Labs. The results of the Dennis Technology Lab test, which were issued on November 5th, 2014, show the results of the comprehensive test carried out between July and September 2014. In this test, Dennis Technology Labs compared the effectiveness of anti-malware products provided by well-known security companies. The tests was designed to examine a product’s effectiveness when a customer visits an infected website. The internet threats used were live at the time of the test period. 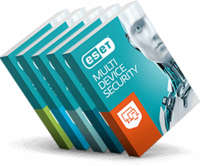 Learn more about the Dennis Technology Lab Test and ESET’s latest security product for Home Users - ESET Smart Security.